The government’s crackdown on health care fraud has uncovered some rather crafty financial arrangement between companies that are alleged to have engaged in illegal activities. This was demonstrated when earlier this week the Justice Department announced that Omnicare, Inc – the nation’s largest nursing home pharmacy – had agreed to pay $28.125 million to resolve kickback allegations from pharmaceutical manufacturer Abbott Laboratories in exchange for promoting the prescription drug, Depakote, for nursing home patients. CVS Health Corporation acquired Omnicare in 2015 after Omnicare ended the conduct that gave rise to the settlement. “Kickbacks to entities making drug recommendations compromise their independence and undermine their role in protecting nursing home residents from the use of unnecessary drugs,” said Principal Deputy Assistant Attorney General Benjamin C. Mizer, head of the Department of Justice’s Civil Division. Nursing homes rely on pharmacists, such as those working for Omnicare, to review patient charts and prescribe needed medications. The settlement resolves allegations that Omnicare solicited and received kickbacks from Abbott for its anti-epileptic drug Depakote. According to the government, Omnicare disguised its kickbacks from Abbott in several ways. Abbott allegedly paid Omnicare “grants” and “educational funding” which were in fact monetary gifts meant to induce Omnicare to recommend Depakote. Omni disguised this monetary arrangement with a program it called “Re*View” which was claimed by Omnicare to be a “health management” and “educational program”. Moreover, in internal documents Omnicare allegedly referred to this program as its “one extra script per patient” program. The government also alleged that an agreement between Omnicare and Abbott established that Omnicare would be entitled to increases levels of rebates from Abbott based on the number of nursing home residents serviced and the amount of Depakote prescribed per patient. Finally, the complaint alleged that Abbott funded Omnicare management meetings and made other payments to local Omnicare pharmacies. In 2012 Abbott, along with numerous states, entered into a $1.5 billion resolution of kickbacks to nursing home pharmacies, including Omnicare and PharMerica Corp. In October 2015, PharMerica agreed to pay $9.25 million to the United States and numerous states to resolve civil liability under the False Claims Act for the alleged kickbacks from Abbott. The settlement announced earlier this week resolved Omnicare’s role in that alleged kickback scheme. “It is disturbing that any health care corporation would pay kickbacks that corrupt the professional medical decision making process in order to pad their profits,” said Special Agent in Charge Nicholas DiGiulio of the Department of Health and Human Services Office of Inspector General (HHS OIG). The Omnicare settlement, along with the prior settlements with Abbott and PharMerica, resolved allegations in two lawsuits filed in federal court in the Western District of Virginia. 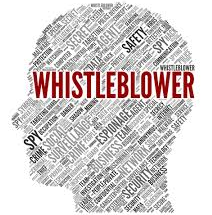 The lawsuits were filed under the qui tam, or whistleblower, provisions of the False Claims Act, which permit private individuals to sue on behalf of the government for false claims and to share in any recovery. Meredith McCoyd, a former Abbott employee and whistleblower who filed the original lawsuit, will receive $3 million from the federal share of the settlement amount. The settlement is an example of the government’s emphasis on combating health care fraud and makes another victory for the Health Care Fraud Prevention Action Team (HEAT) initiative, which was launched back in May 2009 by the Attorney General and the Secretary of Health and Human Services. If you know of fraud that has been committed against the government or one of its agencies you are encouraged to report it. You are also advised to contact qui tam law firm. A qui tam lawyer can explain your rights under the False Claims Act.